Sleep deprivation is a problem in today’s society. Sleep provides your body and mind with the opportunity for rejuvenation and renewal. It can help in enhancing your everyday performance too. When you’re sleep-deprived, your body makes more of the stress hormone cortisol. Whereas, lack of sleep can cause body’s ability to carry out these essential skin functions. A good night’s sleep can mean good skin health and skincare for women is very important. 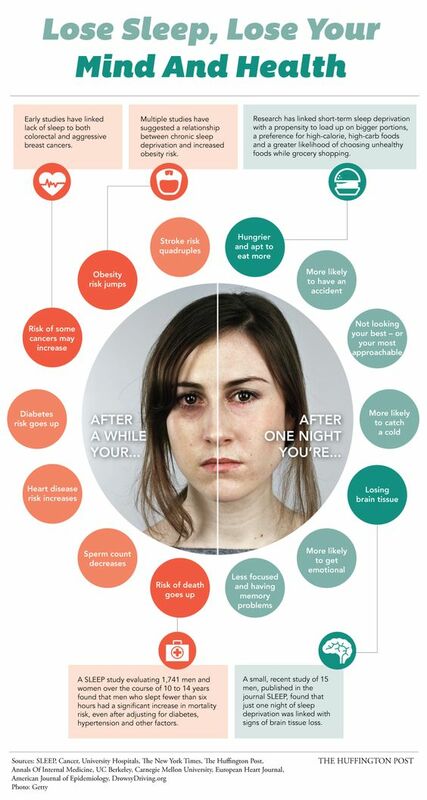 Sleep deprivation affects your skin, health, memory, weight gain, depression, and other mood disorders. So, if you have imbalanced diet and aren’t sleeping much, your skin could be in desperate need of some collagen. Scroll through the list below for losing sleep, lose your mind and health by Huffington Post.